It is November and the Holiday Season spreads its first aromas of festivity, bringing a new time to gather with family and friends around the dinner table. 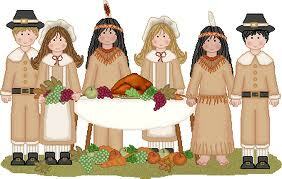 We all celebrate Thanksgiving in the United States, disregarding race or creed believes. Thanksgiving means a time of celebration and enjoyment accompanied by holiday signatures the turkey, applesauce, stuffing, and gravy. It is a time to enjoy our favourite food at the Traditional Thanksgiving dinner. Thanksgiving brings people together, we travel long distances by common means we will see long lines at airports, train, and buses stations just because everyone wants to be back home at that day. Thanksgiving involves us in a unity and tolerance atmosphere, where the most important is to be with people we love and share in the warmness of home. Thanksgiving for us is the day where everything stops, allowing an opportunity to say thanks and improve our efforts to bring joy to your table with the products we deliver.